In the stirring chapters of News from Nowhere devoted to ‘How the Change Came’, the British government makes ‘a desperate effort to overwhelm “the rebels,” as they were now once more called, and as indeed they called themselves’. 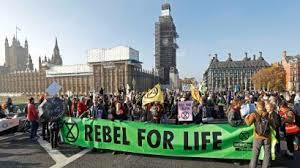 Are the Extinction Rebellion activists who brought some areas of London to a standstill this week ‘rebels’ in that sense? What is the force of their name, what are the aims and means of their protest, what metaphors and narratives emotionally inspire them? Suppose we shifted the purpose of the William Morris Society from reconstruction of the activities of the socialists of the 1880s and 1890s (to which the current issue of the Society Journal is partly devoted) to tracking the aims and activities of progressive moments today, and to eliciting the utopian ‘structures of feeling’ (Raymond Williams’s term) which underpin and inspire their commitment. But not just tracking and elicting, but actively intervening too. 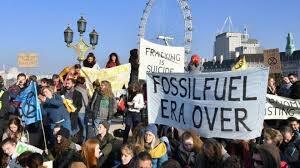 For not once, for example, did we hear the term ‘capitalism’ mentioned in David Attenborough’s splendid climate change television documentary the other night; and nor have I heard it in television and radio coverage of the Extinction Rebellion protests, though of course I’ve not caught all of that. 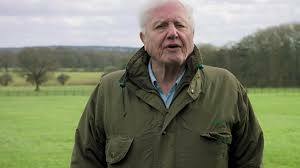 Without a sense of the systemic economic pressures driving us to reckless levels of over-consumption of the earth’s resources, you inevitably fall back – as Attenborough did - on smallscale individual solutions (cycle rather than drive, use less plastic, and so on). As E.P. Thompson and Raymond Williams made so clear, Morris was the great figure who brought nineteenth-century romanticism into contact with the actual working-class movement of his time, who, in response to environmental despoliation, named capitalism as the enemy and communism (exemplified in News from Nowhere) as the solution. The William Morris Society could and should be an active force promoting that intersection of ‘rebellions’ in today’s politics too. 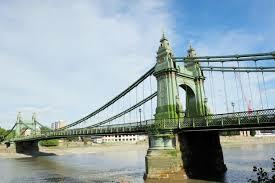 So Hammersmith Bridge is now closed to road traffic after being found to have critical faults in one of Hammersmith and Fulham council’s weekly inspections. There is, apparently, a plan for repair, but due to the government’s austerity budget cuts Transport for London says it cannot finance the necessary work. In which case, the bridge must stay closed to traffic indefinitely. This situation is surely opportunity as well as crisis. Let’s think not of repairing but replacing what William Guest in News from Nowhere refers to as that ‘ugly suspension bridge’. The new structure won’t be Boris Johnson’s vanity ‘garden bridge’, which wasted some £43 million of taxpayers’ money in planning costs, but rather the utopian bridge that Morris himself describes: ‘of stone arches, splendidly solid, and as graceful as they were strong; high enough also to let ordinary river traffic through easily. Over the parapet showed quaint and fanciful little buildings, which I supposed to be booths or shops, beset with painted and gilded vanes and spirelets’. So: no to Bazalgette, yes to utopia. And even in the non-utopian meantime, what a delight to be able to walk or cycle across Hammersmith Bridge without the noise and air pollution of all that disgusting road traffic! 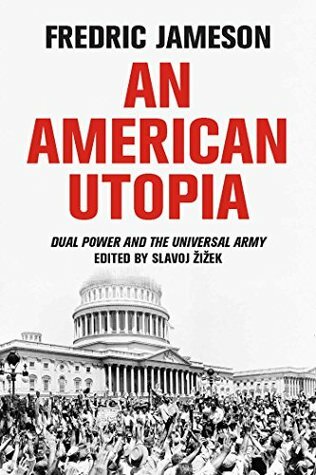 ‘In its conception of work, both in itself and in relation to leisure, An American Utopia sides more with Team Bellamy than Team Morris’. 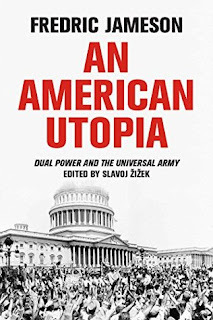 Thus Kathi Weeks, in a footnote to her essay in the Verso collection that accompanies Fredric Jameson’s ‘American Utopia’ proposal. The reference to Morris here, important though it is, oddly does not appear in the book’s index. Thus for Jameson, as for Thomas More and Edward Bellamy before him, the social labour that guarantees the physical means of human subsistence – food, clothing, shelter, transport – remains in the last analysis mere drudgery, something we are grimly obliged to get done before we can move off to the higher and more distinctively human pursuits and pleasures of our leisure time. It is true that, in their assorted utopias, such necessary labour will be shared around equally and reduced to a bare minimum (through technological innovation, sturdiness of materials, and so on), so it shouldn’t prove too onerous. But none the less drudgery it essentially is and will remain; and real human living takes place elsewhere. Morris himself, of course, will have none of this. For him we must overcome such a direly dualistic view of the world, finding ways to make labour itself sensuously pleasurable and humanly creative, aesthetic in short, so that our most fundamental satisfactions are achieved in it, and not elsewhere. So: Team Bellamy or Team Morris? You might have hoped that Fredric Jameson, as our foremost Marxist dialectician, would have avoided so binary a dilemma. It’s certainly my sense that, if Morris perhaps sets the bar for social labour too high (not all work can be of that creative kind, surely), More, Bellamy and Jameson set it too low (at least some of it can, just as surely). 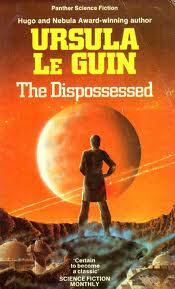 So the key issue for a contemporary utopia will be how it fairly apportions out those two very different kinds of labour across its work force, a task that probably will require the very complex computerised labour distribution system of, say, Ursula Le Guin’s The Dispossessed. I’ve been making handouts and gathering my thoughts for a mini-course on Thomas Hardy’s poetry which I start teaching on Monday. I have my various themes and categories broadly sketched out for the four weeks of the course: the notion of ‘the neutral’ (shades of late Roland Barthes there, perhaps! ), post-Romanticism, Wessex, London, class, return (as in ‘return of the native’), religion, elegy and, if we have time, perhaps other traditional forms. Let’s see if I can enthuse our first-year students with detailed immersion in particular Hardy lyrics around those topics. I’ve been struck, while knocking this mini-course together, by how little attention the William Morris Society currently devotes to Morris’s poetry. One could imagine a Society working group – I’d be very keen to enlist Rosie Miles of Wolverhampton University to it, if she were willing – that met regularly to look at such issues as how adequately Isobel Armstrong’s analysis of Morris’s verse in the light of the concept of the ‘grotesque’ holds up today, or whether we would still agree with Frederick Kirchoff’s judgement that ‘The Earthly Paradise was at least a partial success. Indeed, its major sections – ‘The Wanderers’, ‘Cupid and Psyche’, ‘The Land East of the Sun and West of the Moon’, ‘The Lovers of Gudrun’, ‘The Hill of Venus’ – are among the most important (and least fully appreciated) narrative poems of the late nineteeth century’. Thomas Hardy’s verse to teach first, though – and then a Morris Society poetry group as a project for my retirement years, perhaps! If anybody else is interested, please get in touch and we can try and make this happen. Re-reading Ursula Le Guin’s The Dispossessed for my Utopias half unit, I come again across Takver’s rousing statement late on in the book that ‘we’ll go and make an Anarres beyond Anarres, a new beginning’. If the anarchist utopia she inhabits on the barren planet Anarres has indeed given way to conformity and bureaucracy, then she and her husband Shevek, together with their Syndicate of Initiative, will have to reignite the revolutionary flame that gave birth to that Odonian-anarchist society in the first place. They will have to fight the actual Anarres in the name of the ideal Anarres it once claimed to be (and perhaps genuinely was). Takver’s slogan – an Anarres beyond Anarres – has always seemed to me the best way to think about Ellen in Morris’s News from Nowhere. For we should see her as a figure who could build a Nowhere beyond Nowhere. If Morris’s neighbourly Thames valley utopia is indeed too pastoral, anti-intellectual and static, as many critics have alleged, then the text invents the enigmatic figure of Ellen to potentially remedy that situation. Unlike the other younger Nowherians, immersed as they are in the sensory pleasures of the present, Ellen shares the longer historical and political perspectives of old Hammond in the British Museum. She knows that if a utopia does not remember the bloody political struggles out of which it was born, then it may slide unconsciously backwards towards the very capitalism it thought it had left forever behind. What Ellen will actually do in Nowhere, once she is reintegrated with the other utopians at Kelmscott, Morris’s text of course does not show us. I wager she’ll form some kind of Syndicate of Initiative of her own and thereby reactivate the communist energies of Nowhere, perhaps intervening politically in pre-revolutionary societies elsewhere, as Shevek himself does in travelling back to Urras in The Dispossessed. Thank God for Ellen, anyhow, without whom News from Nowhere would be a much lesser thing than it actually is.